The Original Premiers left to right;Gus Delcos,Frank Polimus,Billy Koob and Roger Kobb. 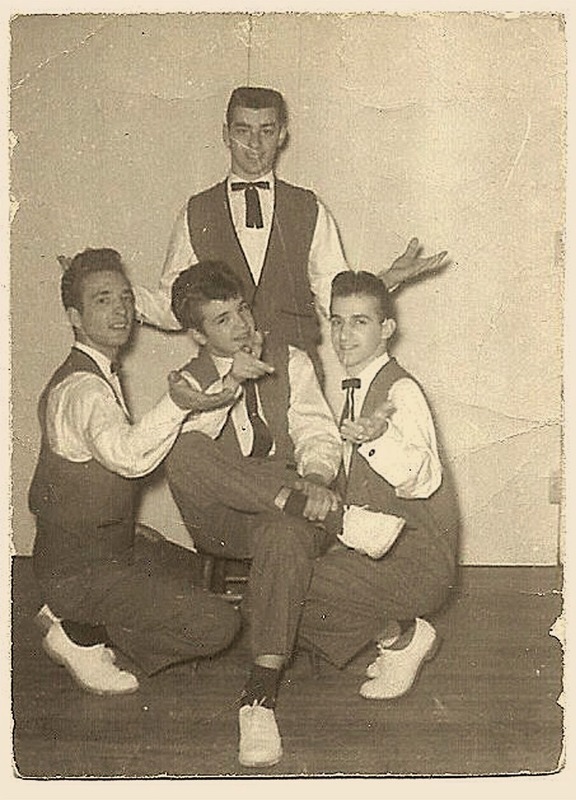 The original Premiers left to right;Gus Delcos,Roger Koob,Frank Polimus and Billy Koob. Group from New Heaven,Connecticut managed by Leo Rogers and formed by Gus Delcos(2nd Tenor),Roger Koob(Baritone),Frank Polimus(1st Tenor) and Billy Koob(Lead).In 1958 they recorded in the ABC subssidiary label Alert Records the sides_Jolene/Oh Theresa. 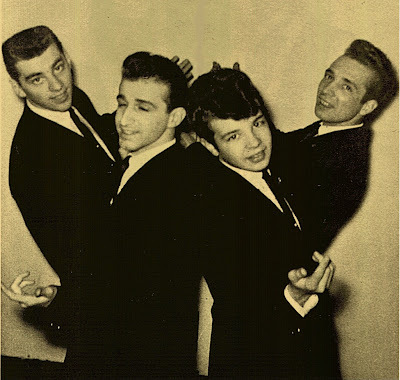 The Premiers on Fury and Rust Records and Roger & The Travelers on Ember Records.left to right;Joe Vece,Billy Koob,Johnny Roddi and Roger Koob(Front). 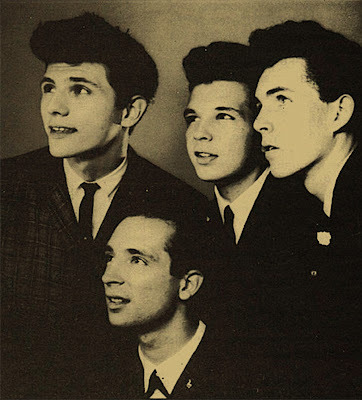 -She Gives Me Fever/Falling Star-1961. 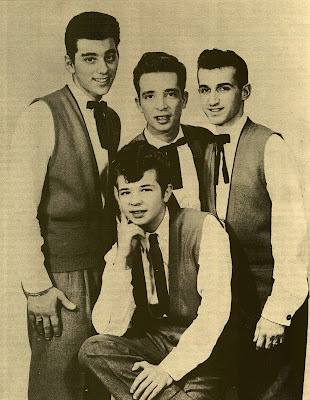 Now the group were managed by Jim Griblle manager of such groups as The Mellokings,Mystics or The Passions.He send the group to sing background for Johnny Maestro who just broke up with The Crests.The group are present in the_Besame Baby.side. 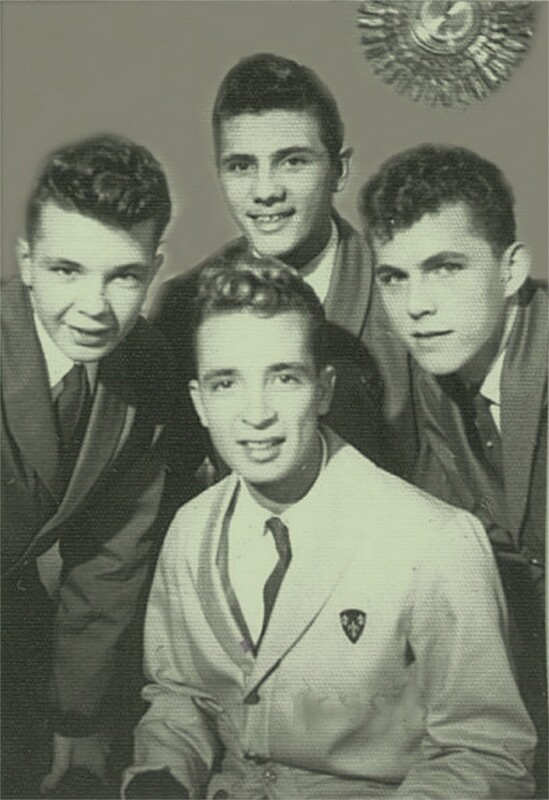 In this time the group moved to Ember Records where they recorded in 1962 under the name of Roger & The Travelers_You're Daddy's Little Girl/Just Gotta Be The Way. 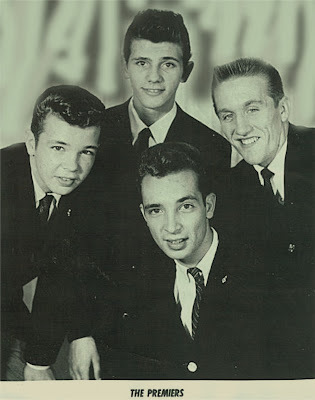 Soon the group would find a new label as well as a new name The Frontiers in this time Charlie Luthz of the New Heaven Academic's Group(see in this blog) joined the group.they recorded for Philips Records in 1963 with a Four Season's soundalike. 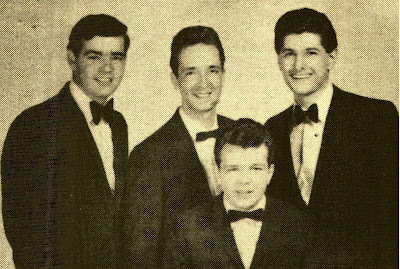 The Frontiers on Philips featuring Charlie Lutz(first from left). Were two unreleased sides of The Premiers pressed as single in the 70's on Alert records.the A Side is from 1960 and the B Side from 1958.